The covers have come off the brand new Subaru Legacy – or Liberty as it’s known here – at the Chicago motor show, and it revealed a surprising inclusion. The seventh-generation Liberty, heralds the return of a turbocharged version for the first time in five years. The XT variant packs Subaru’s 194kW 2.4-litre turbocharged flat-four petrol engine, teamed up with a CVT auto and AWD drivetrain. Turbocharged versions of the Liberty always sold well in Australia – but as we reported earlier this week, the current Liberty may well be the last one to be sold in Australia. “Our current Liberty still has a considerable time to run, and at this stage, we have no information on future timelines,” is the official line from Subaru Australia. The current car launched in 2015, which gives it no more than 18 months before it needs to be updated. We understand, though, that the Liberty’s slow local sales and the market’s focus on crossovers and SUVs means that Subaru management is looking long and hard at whether bringing the seventh generation car to Australia makes sense. 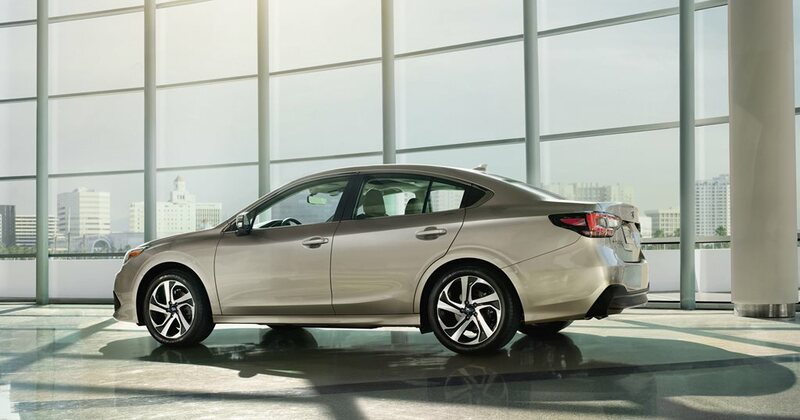 The medium sedan sector is down almost 30 per cent over the same time last year, with Ford's Mondeo off 35 per cent year on year, the Kia Optima down 20 per cent and even the Toyota Camry slipping back 35 per cent. Even the formerly untouchable Mercedes-Benz C-Class is losing its shine, with sales falling more than 20 per cent over the last 12 months. The Legacy will also be available in the US with an updated version of the 135kW 2.5-litre naturally aspirated flat-four petrol engine, but as we speculated last week, the six cylinder is no more. This is down to the Legacy/Liberty switching to the company’s billion-dollar Subaru Global Platform, which also underpins the XV, Forester and Impreza models. It makes the new five-seat, four-door sedan lighter and stiffer, with improved steering and a lower centre of gravity. It also allows Subaru to add more driver-assistance safety features in the form of its clever EyeSight stereo camera-based system. The updated EyeSight suite now includes a lane centering function, forward blind spot monitoring and a camera behind the steering wheel to assess driver fatigue. Inside, the Legacy has a new design that centres on an 11.6-inch vertical tablet-style multimedia screen (below). Apple CarPlay and Android Auto phone mirroring are supported, and while many of the car’s functions are accessed through the screen, it’s great to see physical volume controls and easy-to-access climate control switches outside the main screen. The rest of the interior is refined and low-key, in keeping with the Legacy’s target audience. Subaru claims that the US-spec car has more rear legroom than key competitors including the Camry and Hyundai Sonata.